Rochester is the third largest city in New York and one of the most livable cities and places to raise a family in the United States. The Rochester nursing home abuse and neglect attorneys of Nursing Home Law Center LLC are committed to making sure that our senior citizens are able to live out their last years in dignity by aggressively pursuing justice on behalf of those who have been wronged through negligent or abusive care. Just as Rochester is a wonderful place to raise a family, it should be equally livable for our elderly loved ones and the following information will help you avoid facilities that do not live up to that standard. Medicare routinely gathers data on every nursing facility in Rochester, New York based on information collected through inspections, surveys and investigations. Recently, federal and state inspectors found serious deficiencies and violations at twelve (34%) of the thirty-five Rochester nursing homes provide their residents substandard care that led to injury. If your loved one was injured, abused, mistreated or died unexpectedly from neglect while living in a nursing facility in New York, your family must protect their legal rights. We invite you to contact the Rochester nursing home abuse & neglect attorneys at Nursing Home Law Center (800-926-7565) today to schedule a free, no obligation case evaluation to discuss a financial compensation lawsuit. Rochester is home to several renowned universities that provide invaluable research and development programs and was where Xerox, Kodak and Bausch & Lomb made their starts. It exceeds both New York and Buffalo in per capita income even though it trails both cities slightly in overall GMP. Its low jobless rate and cost of living combined with a highly diverse population and access to excellent public education make it the city of choice for over 210,000 residents. Roughly 9% of its population is made up of senior citizens and many are also nearing retirement age— which will increase the demand for quality nursing care in the near future. Those seniors who wish to maintain active social lives and participate in activities ranging from exercise classes to group trips or games can access the city’s network of senior centers through the Monroe County’s Senior Center and Meal Programs. You can learn more about available programs and find a center that is close to you by visiting https://www2.monroecounty.gov/aging-centers.php. Medicare allows anyone to access their latest ratings of every nursing home in the country by using the nursing home compare tool on the Medicare website. Our Rochester nursing home injury lawyers have chosen to highlight the worst rated facilities to help prevent you from placing your loved ones in the poorest environments. If you are considering a facility not named on this list, you can access its Medicare ratings by visiting https://www.medicare.gov/nursinghomecompare. It is our hope that by providing the information on the most problematic facilities in your area that you will be more aware of common nursing concerns and able to avoid placing your loved one in a center that will not meet his or her needs. Primary concerns: One of the ways that for profit corporations have lined their pockets is by reducing staff levels to dangerously low levels. The lack of qualified and properly trained staff members results in a diminished standard of care. This facility’s horrible health inspection history and poor quality measures score are reflective of a one star staff quality score. The most effective way this facility can turn things around is to start by employing more qualified staff members. Primary concerns: This nursing center is located within a hospital, and while its staff is considered “average” by Medicare’s standards, the facility lacks proper quality measures and touts a meager two star health inspection score. Primary concerns: Poor quality measures and an abysmal health inspection record haunt this facility and its staff is barely adequate to tend to the needs of all patients. Primary concerns: With a health inspection and quality measures rating of one star each, this nursing home has very little to offer residents. Health and safety deficiencies can increase the risk of hygienic concerns, facilitate the spread of disease and result in accidents due to a poorly cleaned and maintained environment. Primary concerns: Understaffing seems to be the root cause for this facility’s ills. Despite an above average quality measures rating, it suffers from numerous health and safety deficiencies and has a one star staff quality rating. This suggests that while proper protocols are in place, an inadequate staff is stretched too thin to be able to provide quality care. Primary concerns: There is very little that this facility has gotten right. It employs a skeleton staff, has a horrid health safety record and has mediocre quality measures in place to enrich the experience of members. Yet another example of what can result when for profit corporations place profits over the needs of patients. Our Rochester nursing home injury lawyers are often asked what the clear signs are that a loved one is being mistreated and when to take legal action. The symptoms of abuse can mimic certain neurological and psychological conditions which may be the reason your loved one requires care to begin with. Many of our clients reach out because they can just tell that their loved ones are not themselves and things seem off. The following symptoms should not be ignored and you should contact an attorney the moment you notice one or more of them to launch an investigation. 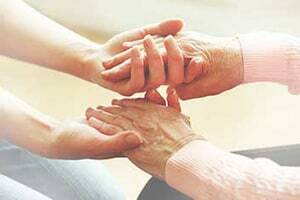 Your loved one gets quiet in the presence of his or her caregiver. He or she may also quickly change behavior after the caregiver leaves. Your loved one experiences bouts of depression or anger which are not a part of his or her normal behavior. You notice physical signs of restraint or abuse. You notice your loved one has rapidly lost weight or feels faint. Your loved one develops bedsores or an infection. Your loved one is hospitalized and you are not satisfied with staff members’ explanations on why. Nursing Home Law Center LLC is a nationally accredited law firm committed to defending the rights of those injured due to others’ careless and malicious actions. If you suspect your loved one is the victim of abuse or neglect contact us today to arrange a free consultation with an award winning Rochester nursing home abuse and neglect attorney so that we can evaluate your case and conduct an investigation. If we are unable to help you recover compensation, you will not owe us a thing for our time.